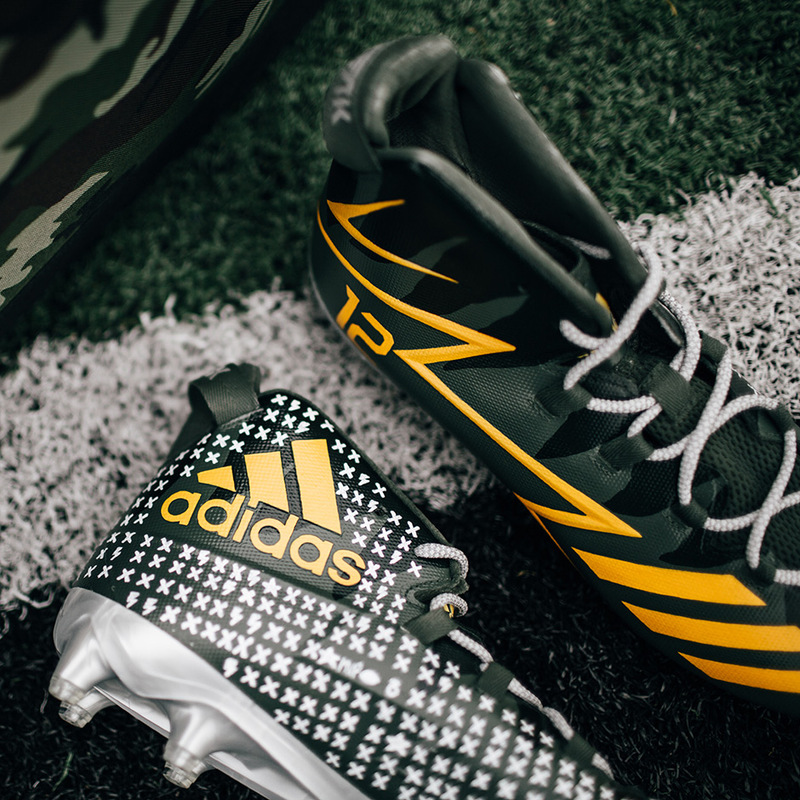 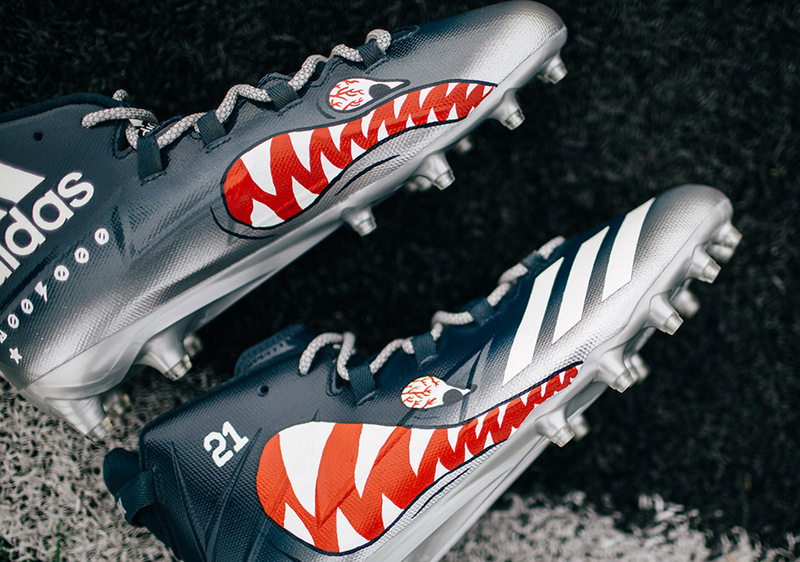 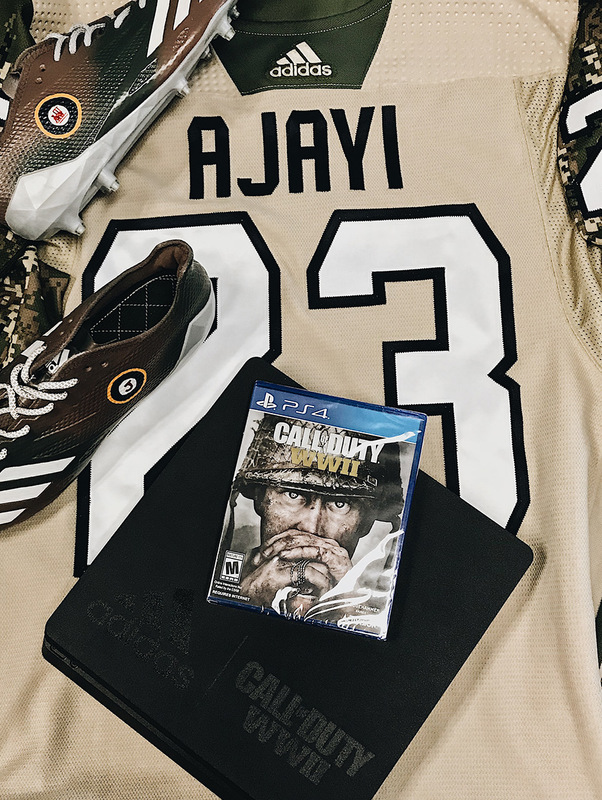 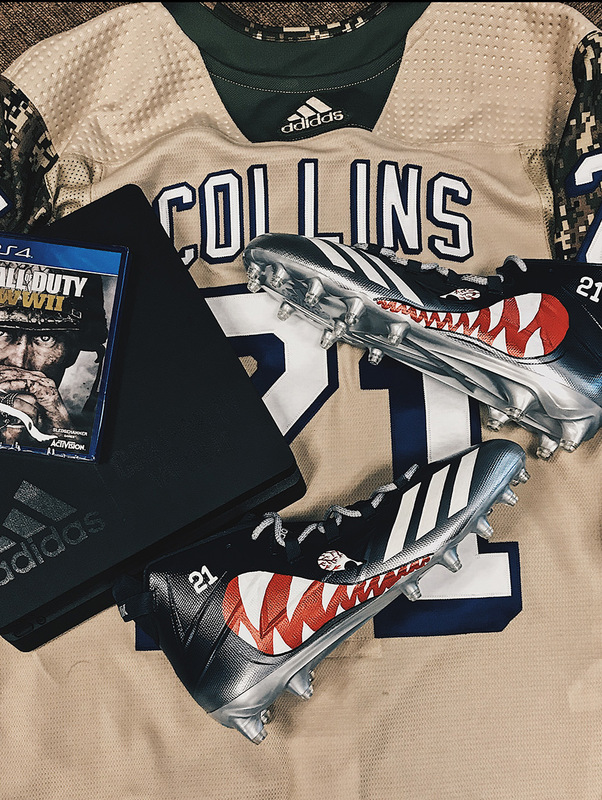 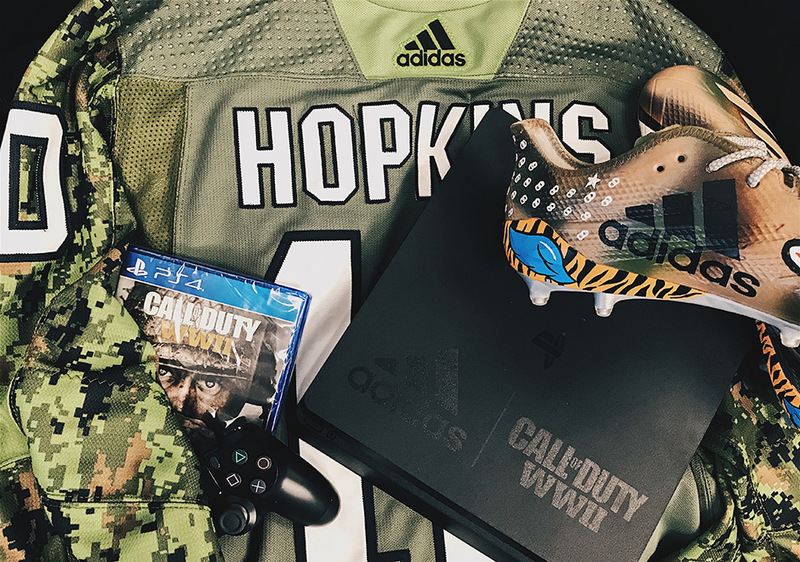 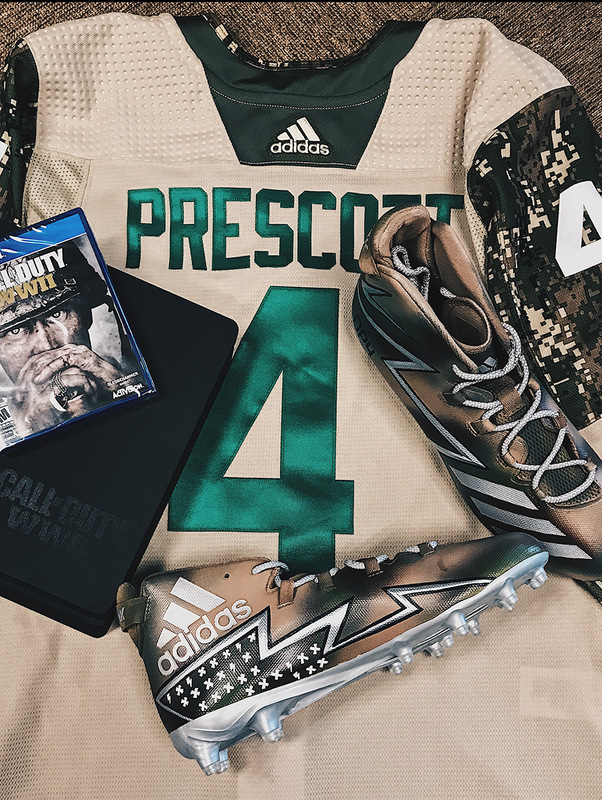 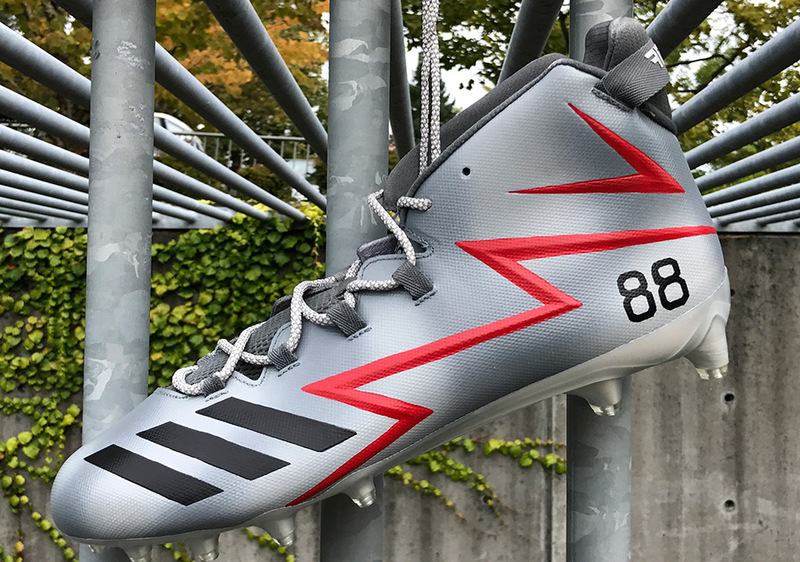 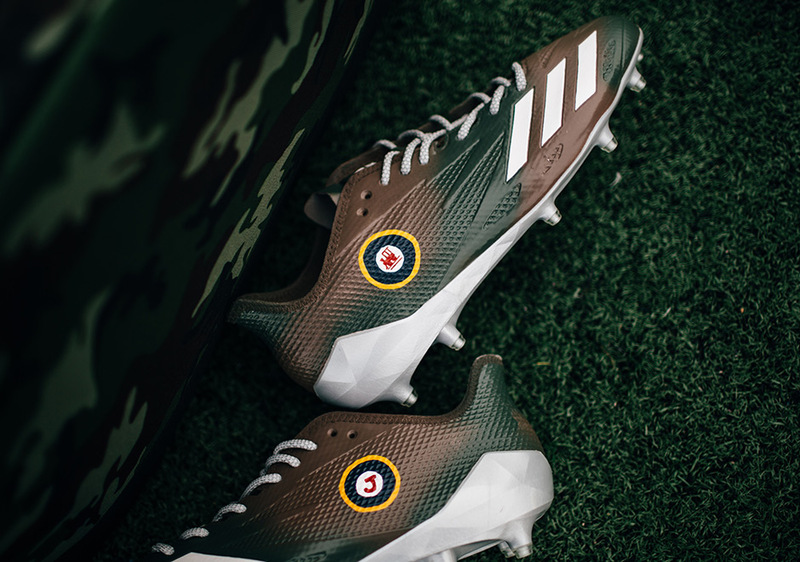 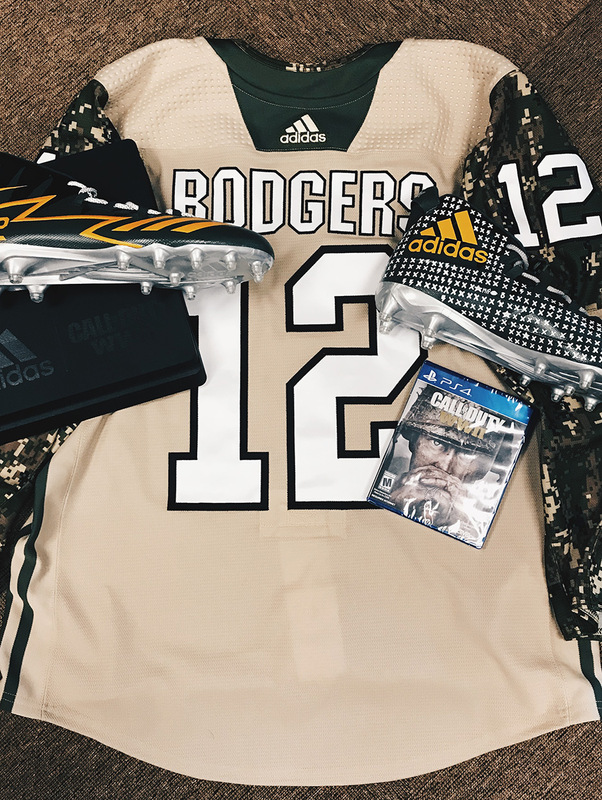 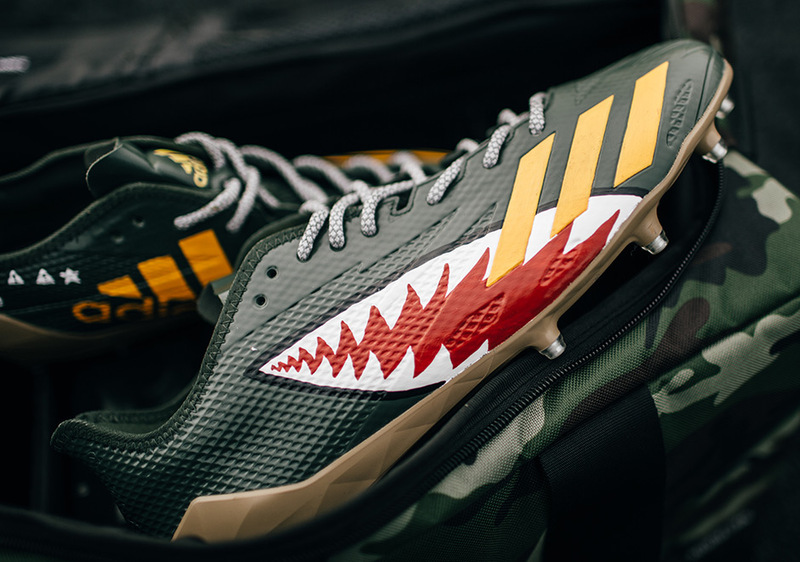 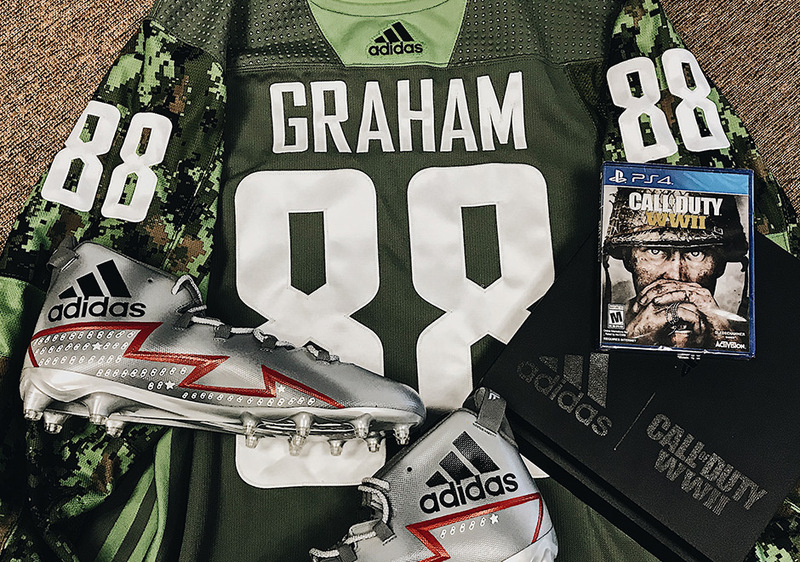 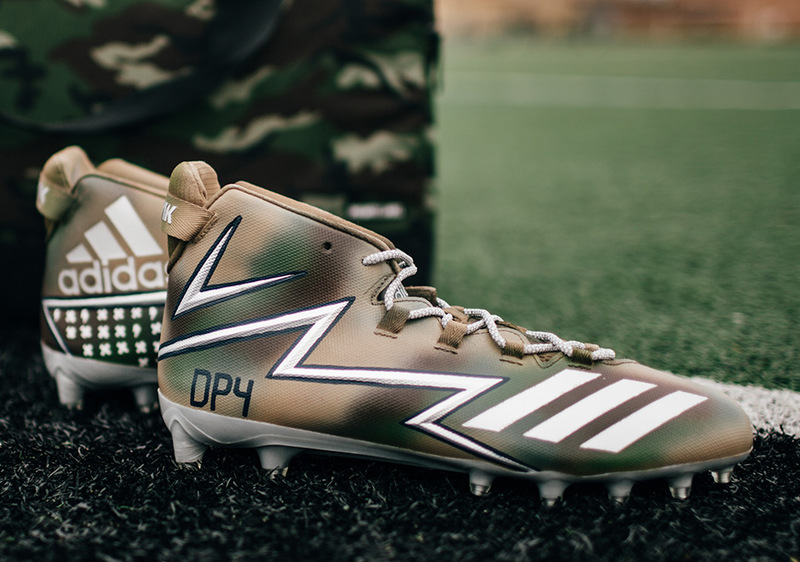 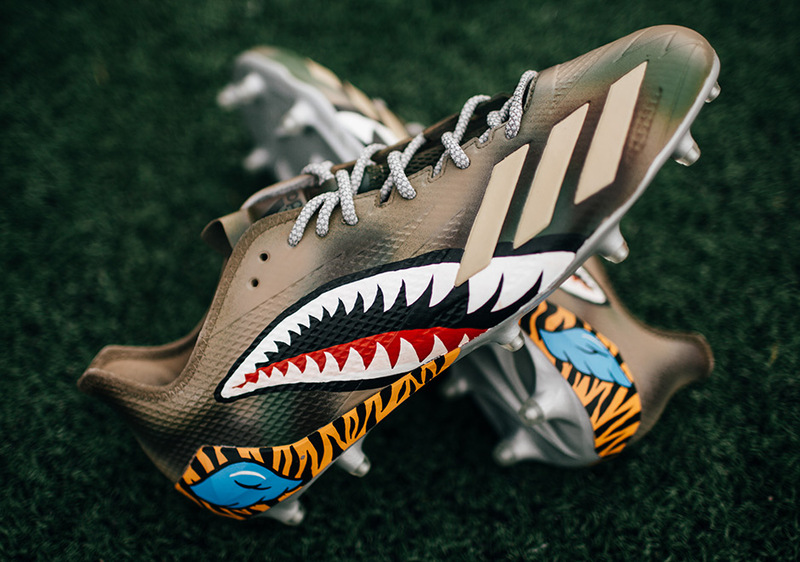 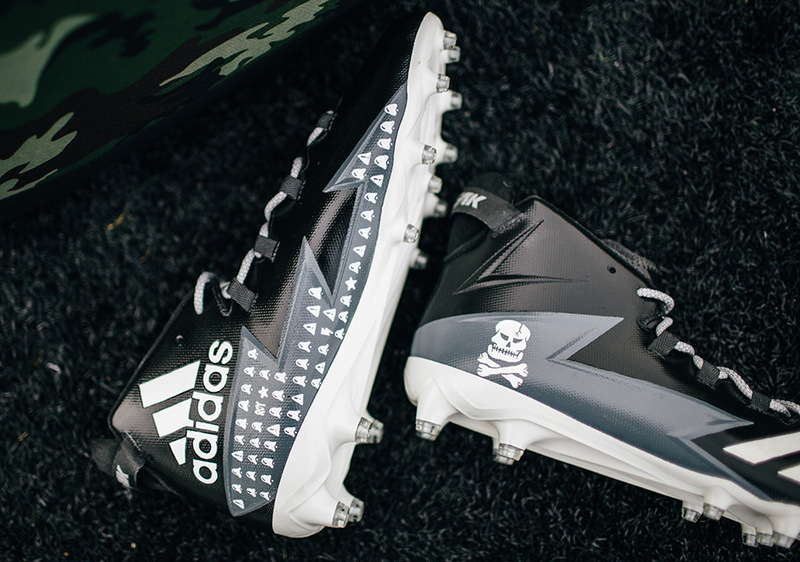 In honor of Veterans Day, adidas is hooking up eight of its signature NFL athletes with the “Squadron Pack”, centered around military-inspired custom cleats. 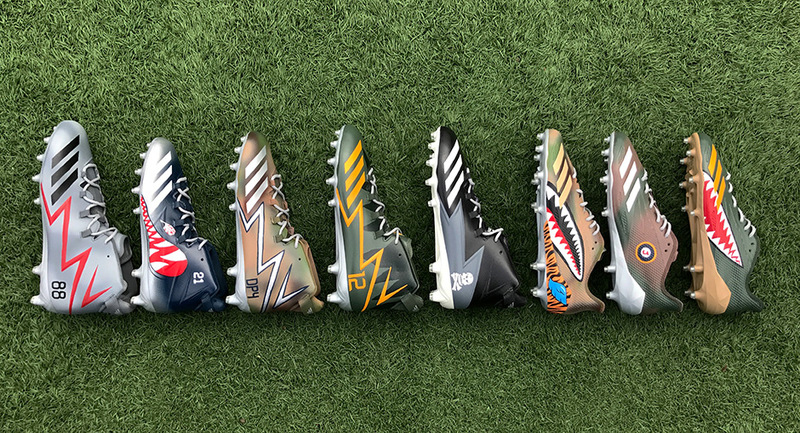 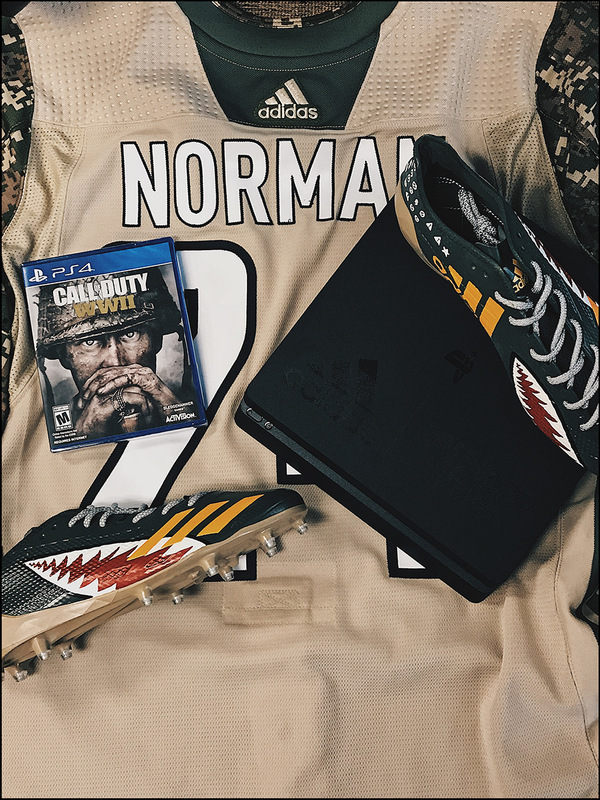 Dak Prescott, Von Miller, DeAndre Hopkins, Jay Ajayi, Jimmy Graham, Josh Norman, Landon Collins and Aaron Rodgers were each given cleats with graphics and decorative elements that mirror each player’s personality as well as individual accolades, similar to how college football athletes receive stickers to proudly adorn their helmets. 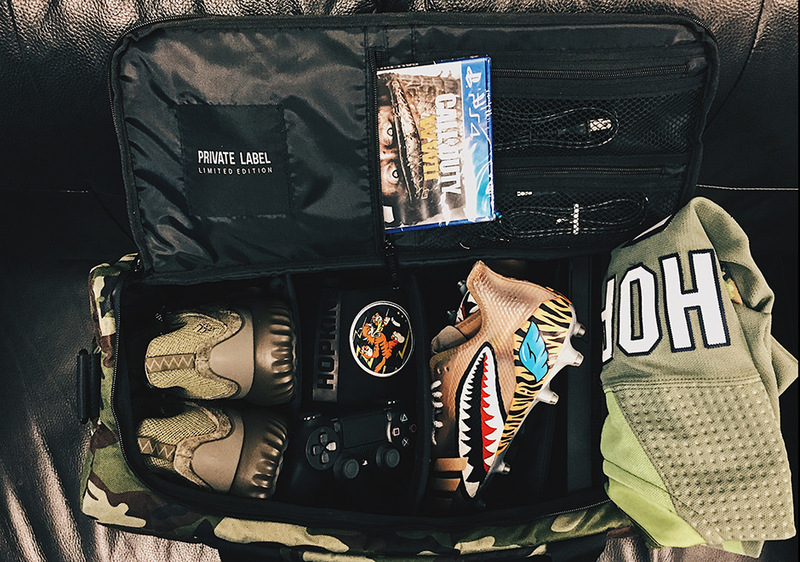 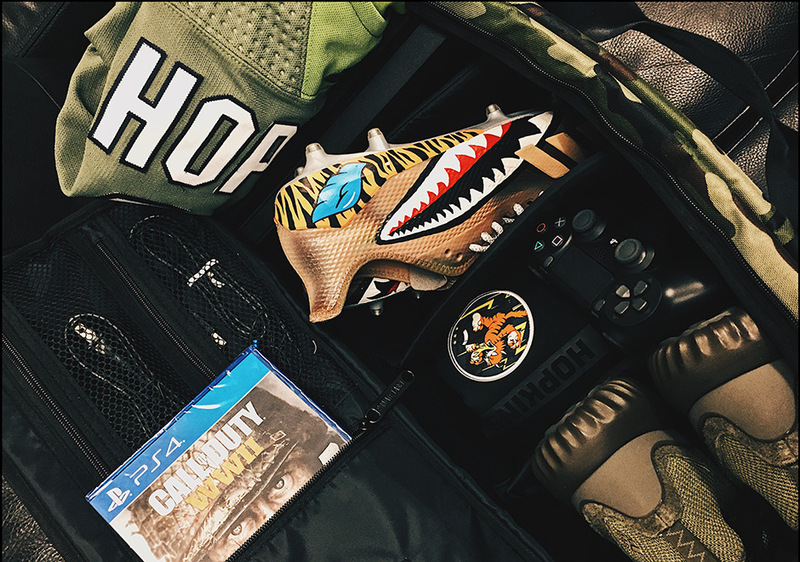 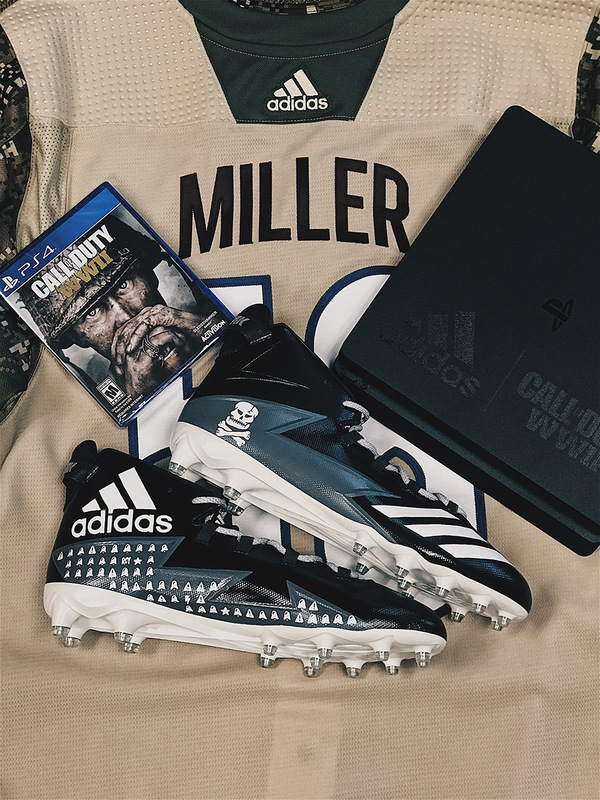 The “Squadron Pack” will also include a pair of adidas Alphabounce shoes, a custom military-inspired NHL jersey, a personalized bomber jacket, and Call of Duty World War II swag, all enclosed in an exclusive Private Label duffel bag. 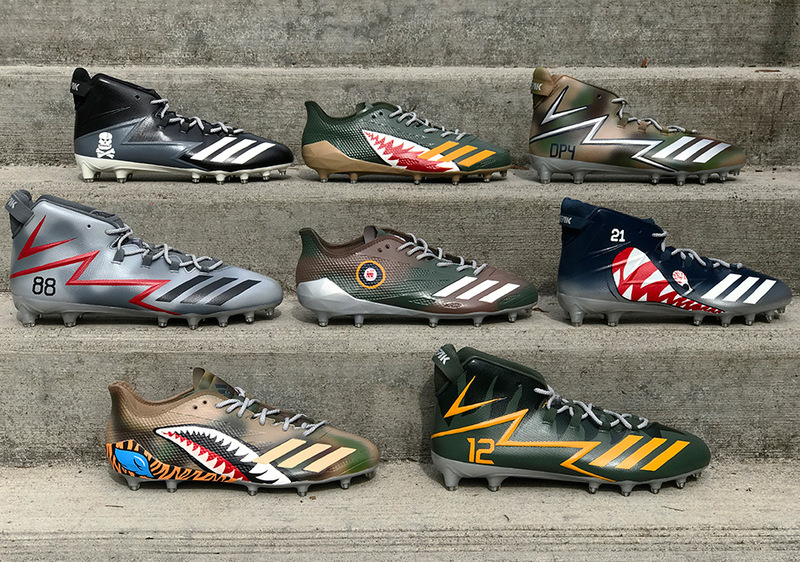 Tune in on Sundays during November to see if some of these athletes will be sporting their new adidas custom cleats on the gridiron.